Dyna-Form® Vapour-Flow™ fabric is a mattress cover fabric designed to support improved microclimate management. 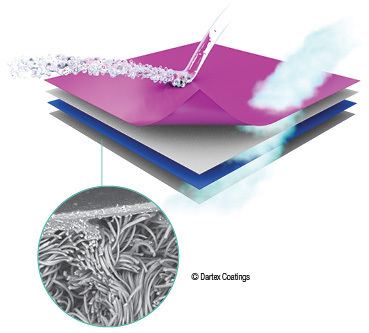 With a significantly higher Moisture Vapour Transfer rate (MVTR) than standard cover fabrics, Dyna-Form® Vapour-Flow™ utilises our most advanced moisture vapour transfer technologies. Microclimate management at the skin interface has been shown to be a potential contributory factor in skin health, with the presence of higher temperatures and moisture more likely to lead to tissue breakdown, in turn increasing susceptibility to pressure ulcer development. Dyna-Form® Vapour-Flow™ maximises patient comfort while helping to minimise the risk of developing pressure ulcers. Dyna-Form® Vapour-Flow™ is fire retardant to BS 7177: 2008+A1:2011 and has been tested extensively, both in independent laboratory tests and in demanding healthcare environments.